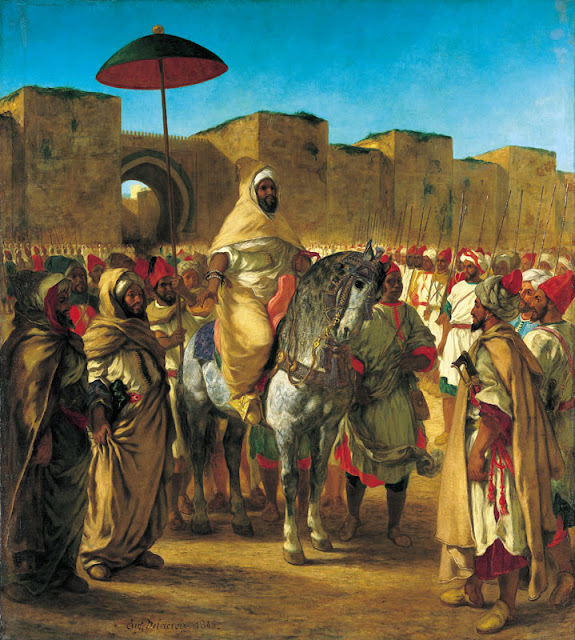 Infinite Art Tournament: The Infinite Art Tournament, Round 2: Degas v. Delacroix! 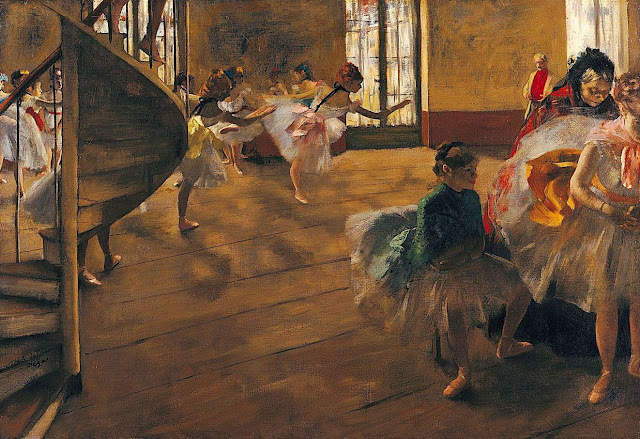 The Infinite Art Tournament, Round 2: Degas v. Delacroix! Whupped it up on sculptor Richard Deacon in Round 1. Defeated Robert Delaunay by a two-vote swing in Round 1. YOUR VOTE COUNTS!!! Degas, though I also really like the third Delacroix. I like Delacroix enough but he's no Degas. 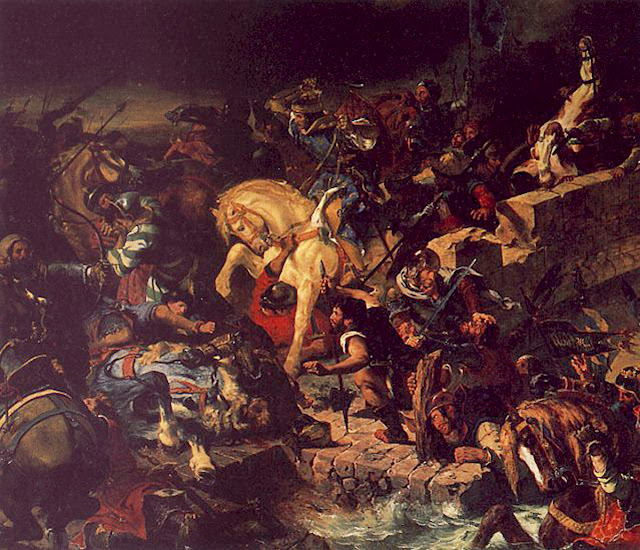 I am liking Delacroix better than the more famous guy in this matchup! I always have a soft spot for Degas. So sweet, and I love the dancin'. 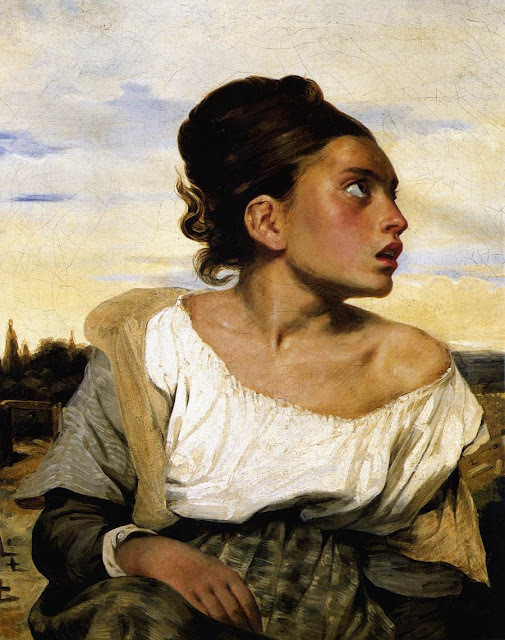 I like the third Delacroix portrait a lot also (orphan girl! at the cemetery! OK, I like it nevertheless), but all the swirly triumphant history scenes leave me pretty cold. I do really like Degas. Despite the sweetness and the dancing! I like the boldness of the compositions, the oddly-cropped wide-angle scenes and the awkward grace of the poses. Not to mention the colors, and the range of media. He's got my vote! Sign me up for Degas too. Even in a dimly lit room (to protect the pastels?) I was rather blown away with some of his stuff at the Met in NYC. 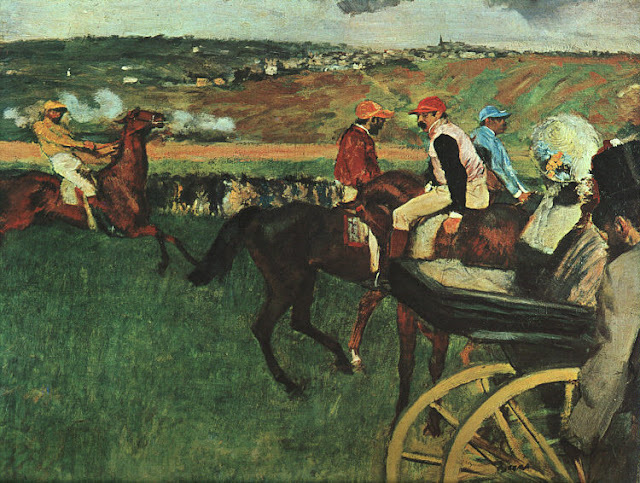 Email vote: "Degas over Delacroix"
Degas lived in New Orleans for a while, did you know that? And apparently in his old age he became a hateful anti-Semite. Sumbitch could paint, though. I'll pick him over Delacroix, though the Orpahn Girl is still my individual pick of the paintings. Delacroix didn't have too much trouble with Delaunay, but he met his match in Degas, who stomped him to the tune of 10-2. 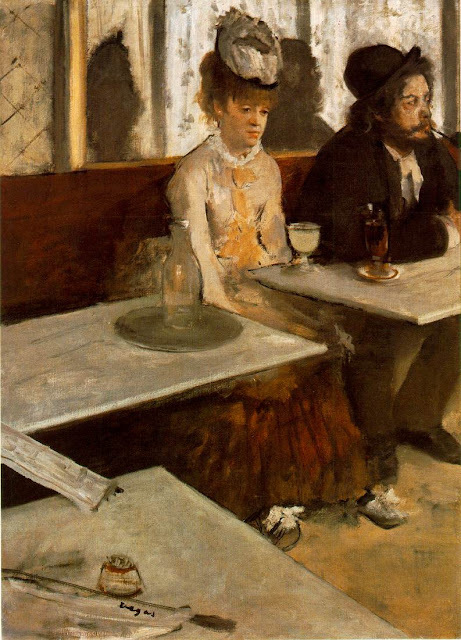 Degas will be spending some time in the green room after this victory; Delacroix will try to get back in the game by taking on the winner of G. David/Davis in a few months.